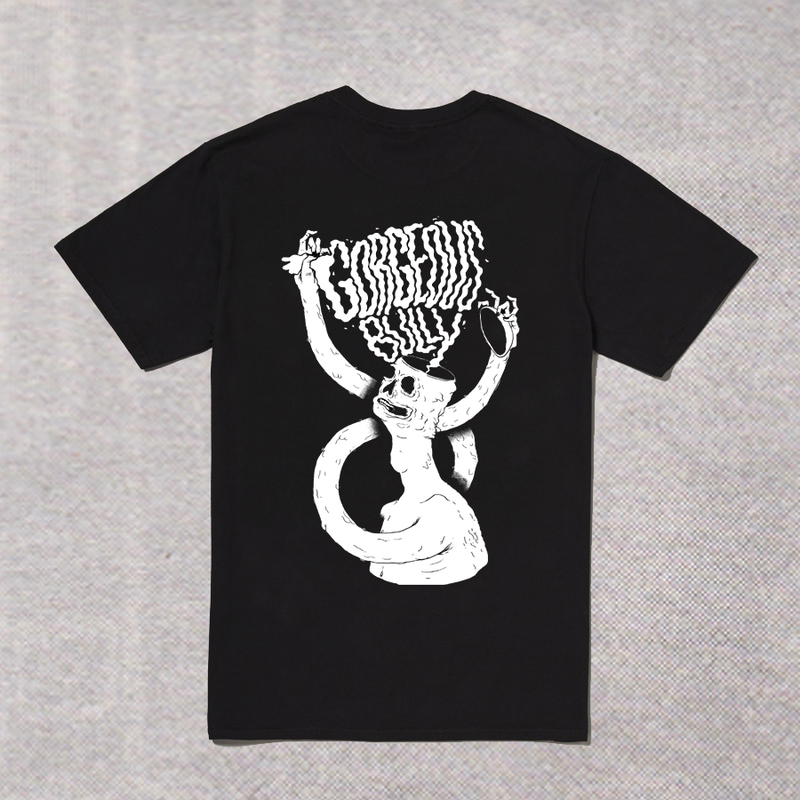 White handpulled screenprint on black Gildan tshirt. Designed by Kieran Gabriel. Also available as a bundle with the latest Gorgeous Bully 7" for a slight discount.